The paper receipt continues to be important to the majority of ATM users around the world. NCR's patented two-sided thermal printing technology enables banks to do more with the receipt and reduce their paper consumption. 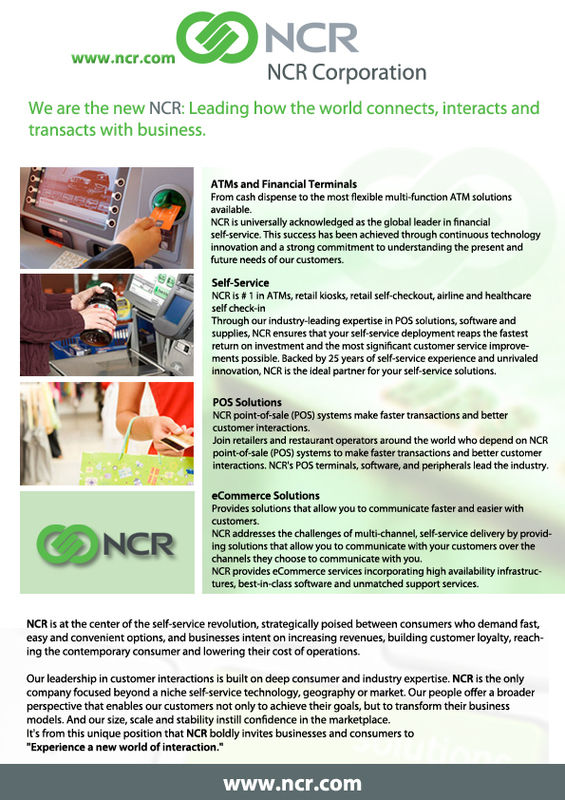 NCR offers the largest portfolio of assisted service solutions.